Die Marke aircharge umfasst Qi-Produkte – kabellose Ladesysteme nach dem Qi-Standard für wireless charging – für den professionellen Einsatz in Gastronomie, Hotellerie, Konferenzräumen, Unternehmen und vieles mehr. Sind Sie ein „professioneller Wiederverkäufer“ und interessiert aircharge-Produkte in Ihr Sortiment mit aufzunehmen? Schreiben Sie eine Mail an Ketterer [at] Qi-Inside.de und erhalten ausführliche Wiederkäuferunterlagen. Die Grundidee des kabellosen Ladens ist das Prinzip der Induktion. Jeder kennt das anschauliche Beispiel einer elektrischen Zahnbürste, welche durch eine Ladestation geladen werden, ganz ohne zusätzliches Kabel. Eingebaute Spulen in beiden Geräten sorgen für fliessenden Strom, wenn sie direkt übereinander liegen und kompatibel zueinander sind. Der induktive Ladevorgang startet sofort. Der Qi-Standard hat sich durchgesetzt, weltweit! Das chinesische Wort Qi für Lebensenergie ist der Namensgeber für den weltweit verbreitesten Standard im Bereich kabelloses Laden für Smartphones. Zu diesem Standard haben sich u.a. Unternehmen wie Apple, Samsung, Sony, Nokia uvm. bekannt und im Wireless Power Consortium zusammengeschlossen. Mit dem iPhone 8, 8+ und X brachte Apple erstmals Geräte auf den Markt, die das kabellose Laden automatisch unterstützen. Bei anderen Geräteanbietern, u.a. Samsung, wurde diese Technologie bereits viel früher aktiv eingebaut. Aber erst durch Apple gab es der Technology der Öffentlichkeit gegenüber einen richtigen Schub – in die richtige Richtung. Einfache Anwendung, Gerät auf Sweetspot legen und der Strom fliesst. Keine Abnutzung an Kabel oder Handy. Ladestationen sind u.a. in Möbel, Autos, Bars, etc. integriert, somit sofort nutzbar. Gleicher Standard für verschiedene Gerätehersteller. Ältere Smartphonemodell können durch Adapter „drahtlos gemacht“ werden oder durch entsprechende Qi-Ladehüllen aufgerüstet werden. Qi (pronounced “chee”) is the global standard and proven leader for wireless charging. The Qi standard is a fully open and flexible platform that allows member companies to differentiate their products with innovation in design, components, materials, features, and value to consumers. Qi has unrivaled reach, delivers the best user experience, and is moving the fastest to bring new wireless charging innovations to market. Qi is the only wireless power solution fully integrated into smartphones without the need for cases or replaceable battery covers. 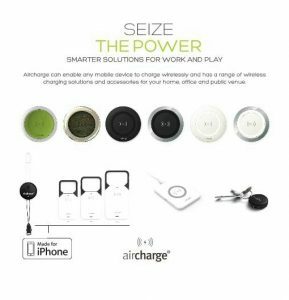 You simply place a Qi-enabled device on a Qi charging surface and it charges the device, simply and efficiently, no cords needed. 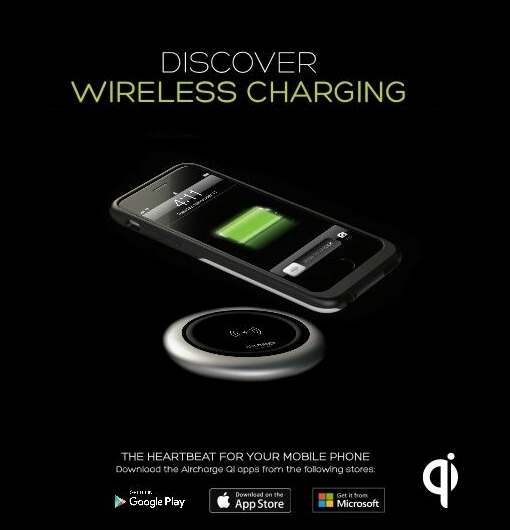 Developed by the Wireless Power Consortium in 2010, Qi guarantees that any phone, camera, remote control or other device carrying the Qi logo will work with any charging surface that carries the Qi logo, regardless of manufacturer or brand. Just like Bluetooth® set the standard for exchanging data over short distances or Wi-Fi™ set the standard for wireless networking, Qi sets the standard for wireless charging. Qi is backed by over 200 industry-leading companies of the WPC, including Verizon Wireless, Motorola, Nokia, Philips, Toshiba, Sony, ConvenientPower, IKEA, Energizer, Freescale, Fulton Innovation, HTC, LG, Panasonic, Texas Instruments, Visteon, Legget & Platt, and Qualcomm, with more companies supporting it all the time. The vast industry support means more choices for more devices and the assurance that Qi will work now and into the future. Why is a universal, compatible Wireless charging standard important? Today, there are many different types of charging solutions for different electronic devices, and most don’t work together. This means that each time you buy a new brand of phone or other device, you likely have to buy all new chargers. Most people can attest to the pile of old chargers in their homes — some obsolete, others useful for the device it came with but nothing else. 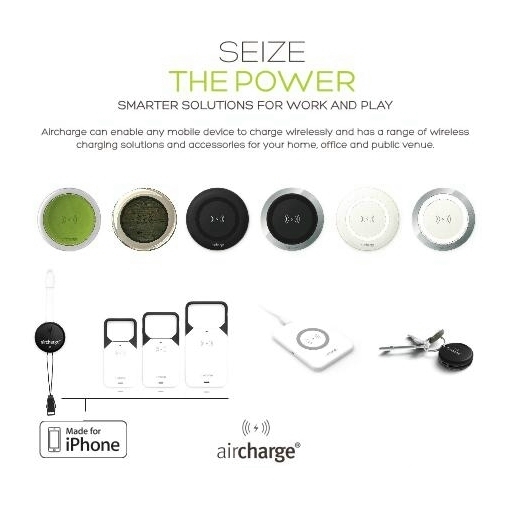 With Qi, you can charge any Qi-enabled device using any Qi charging surface, regardless of manufacturer or brand. Goodbye cable clutter, hello compatibility. Qi has the potential to simplify people’s lives, providing a convenient and interoperable way to charge mobile devices at home or on the go. The goal of Qi is to make wireless charging ubiquitous and to have it embedded into everyday places where people work, live and travel. Consumers will be able to charge their devices at ease wherever they go, making drained batteries a thing of the past. hoW Will i knoW if my device is compatible? Look for the Qi logo. Any device carrying the logo will work with any charger carrying the logo. The Wireless Power Consortium undertakes extensive product testing to ensure compatibility between approved Qi devices. You can feel secure knowing your investment in Qi will continue to pay off for years as more and more products become Qi-enabled. does Qi only Work With mobile devices? Currently, the Qi standard is designed for devices using 5 watts of power (some work up to 7.5), such as mobile phones, cameras, remote controls and tablets. The Wireless Power Consortium is currently working on expanding Qi for use in larger devices such as laptops and home appliances, with a vision to cover industrial equipment and electric vehicles over time. is Qi Wireless charging built directly into the device or is a special case reQuired? Qi is the first wireless power solution fully integrated into smartphones and tablets. The Motorola Droid Maxx and Droid Mini (by Verizon Wireless), LG G2 by Verison Wireless, and Google Nexus 7, have Qi wireless charging as a key out of the box feature, and require no add-on or backdoor to facilitate charge. Other proprietary solutions require separate cases or add-ons to work and only work with a limited type of charger. What about older devices? is there a Way to add Qi compatibility to them? Yes, there are an increasing number of options you can choose to add Qi compatibility to existing or older devices. A number of protective cases, sleeves and removable battery covers are available to use with existing devices. Simply place them on the device and set it on a Qi charging surface. It will charge the same way a device with Qi built-in would. Where can i buy Qi-compatible electronics? 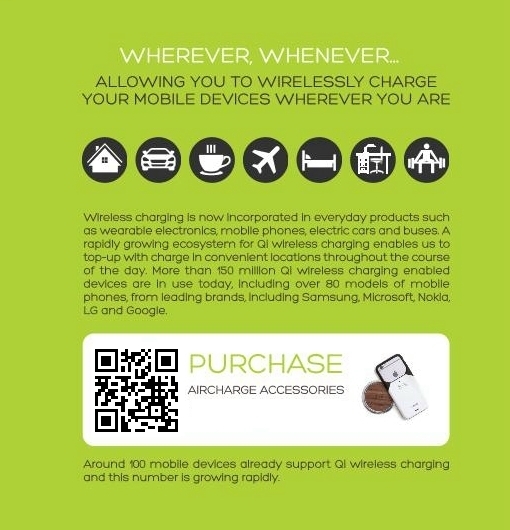 Qi-compatible charging pads, devices and accessories can be purchased through well-known retail outlets like Amazon, Verizon Wireless, AT&T, Sprint and T-Mobile stores. Qi works by generating a safe electromagnetic field between a charger and a device through a well-established process called magnetic induction. Qi chargers have a built-in transmitting coil that intelligently communicates with Qi devices using a specific electromagnetic frequency, so any Qi device will work with any Qi charger, now and in the future. Qi supports both inductive and resonant wireless power solutions, meaning you don’t have to worry about exact alignment when placing a Qi-compatible device on a charging spot and Qi fully supports the capability to charge multiple devices at once. While other companies and groups may claim their proprietary-based solutions are more technologically advanced, this is not true. Qi’s technology is superior to proprietary-based solutions as it supports both inductive and resonant charging, spatial freedom, and intelligent power management. This stems from Qi’s open, fully flexible standard, backed by overwhelming industry support from more than 190 companies. Qi also has an installed base of 40 million units worldwide, including full integration into the hottest smartphones and devices on the market like the Nokia Lumia 1520, LG G2, Nexus 5 and the Google Nexus 7 tablet. is it necessary to position the phone in a specific Way on the Wireless charging surface? What happens if the phone is not placed correctly? There is a wide range of Qi products you can choose from with larger and smaller charging areas. Some products allow free placement anywhere on a 10×10 inch surface. Other products have a smaller charging area. Charger manufactures have the option of producing larger charging surface areas. Simply just place the phone down normally on the surface with the screen facing up and it charges. If it’s not placed on the charging surface, or not placed correctly, the phone will not charge. This won’t damage the phone or the charger. is the Qi solution capable of charging devices at a distance? charging. The latest transmitter design increases the distance that devices can charge from the charging platform – all the while remaining Qi compliant. This transmitter design allows Qi wireless charging stations to be seamlessly integrated into a wide range of surfaces, including furniture, tabletops, kitchen counters, and automobiles. Qi-enabled devices up to 5 watts (some devices can reach up to 7.5) can charge up to 40mm away from the Qi charging surface. The new design offers more freedom in device placement and convenience for consumers. resonance which has been around for over 100 years. The same principle has been used in homes around the world for years to safely charge electric toothbrushes. is Qi an efficient use of electricity? technology which is still in its infancy. If power is transmitted over a distance of more than a couple of centimeters, only a very small part of the transmitted power will find its way into your device and the rest is wasted. With Qi, charging efficiency comes very close to that of traditional plugged-in charging, meaning charging takes about the same time. Qi chargers are also equipped with power-saving features that will turn off the charger once a device is fully charged. In addition, many Qi chargers can support multiple devices at once. Replacing multiple device chargers with one Qi charger will actually save energy. 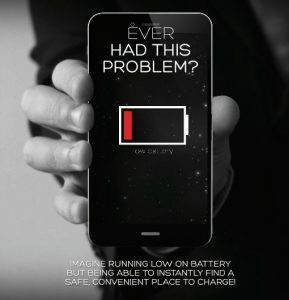 is it possible to build Qi charging surfaces into everyday items like furniture and car center consoles? in vehicle’s centerconsole. The system can be enabled by a switch beneath the lid, and charging is as simple as placing the phone upon the lid’s high-friction surface. In March, Jeep announced that embedded Qi wireless charging pads will be featured in the 2014 Jeep Grand Cherokee. This embedded technology is also making its way into the office and home through innovations such as the the Cegano SmartTable and some of the newest ASUS desktop computers. are you seeing any Wireless charging surfaces being built into public areas, such as in airports and restaurants, Where people can simply set their mobile device doWn to charge? Yes. We’ve already seen the development of Qi wireless power built into infrastructure throughout Japan. NTT DOCOMO, Japan’s largest mobile operator, has installed Qi wireless charging stations at more than 3,500 convenient locations in Japan, including airport lounges, salons, cinemas, and cafes, changing the way consumers think about charging their devices. 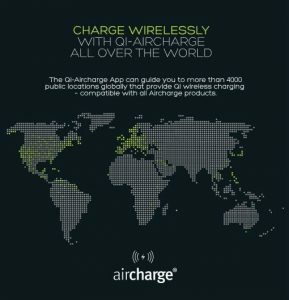 Other companies, such as ChargeAll, are developing Qi wireless cell phone charging kiosks to be placed in public areas. We are also seeing the same momentum in the U.S. Fully integrated wireless charging is the latest trend in mobile devices and Qi is leading the way as the only solution that is fully integrated into the newest smartphones without the need for cases or replaceable battery covers. 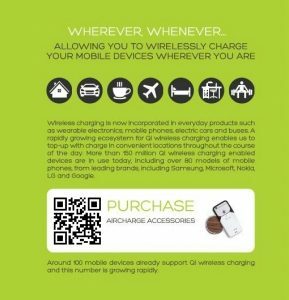 We think that this is the tipping point for driving mass market adoption and the development of a Qi wireless charging ecosystem that will make it possible for consumers to conveniently charge their devices where ever they go. The goal for Qi is to make wireless charging ubiquitous and embedded into everyday places where people work, live, and travel. What products support Qi noW?